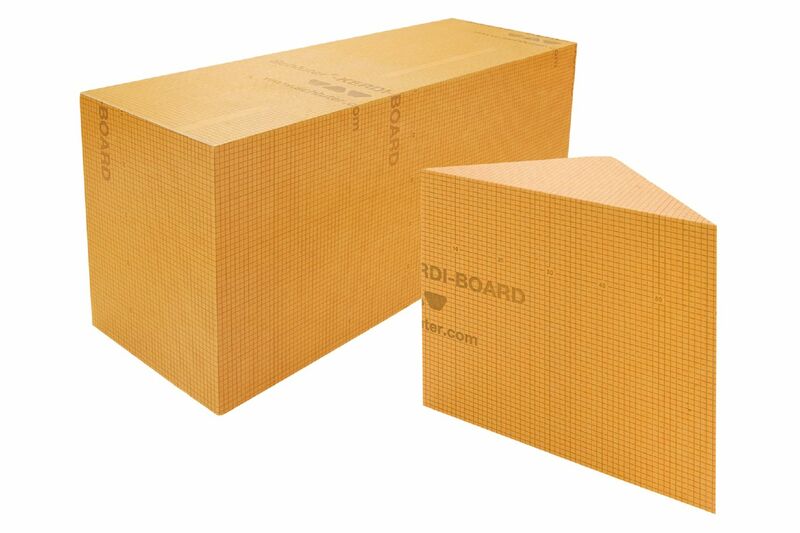 Schluter®-KERDI-BOARD-SB is a lightweight, waterproof, prefabricated shower bench made of KERDI-BOARD that is designed to integrate with the Schluter®-Shower System. 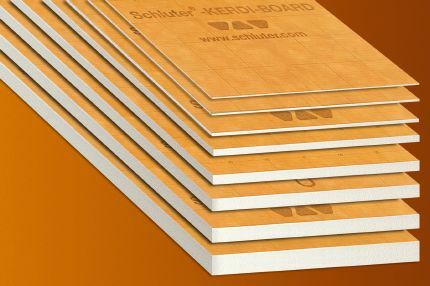 Schluter®-KERDI-BOARD-SB is a prefabricated shower bench, made of KERDI-BOARD, for use in conjunction with the Schluter®-Shower System. KERDI-SHOWER-SB is waterproof and ready for tile, leaving only sealing of joints and corners to complete waterproofing. 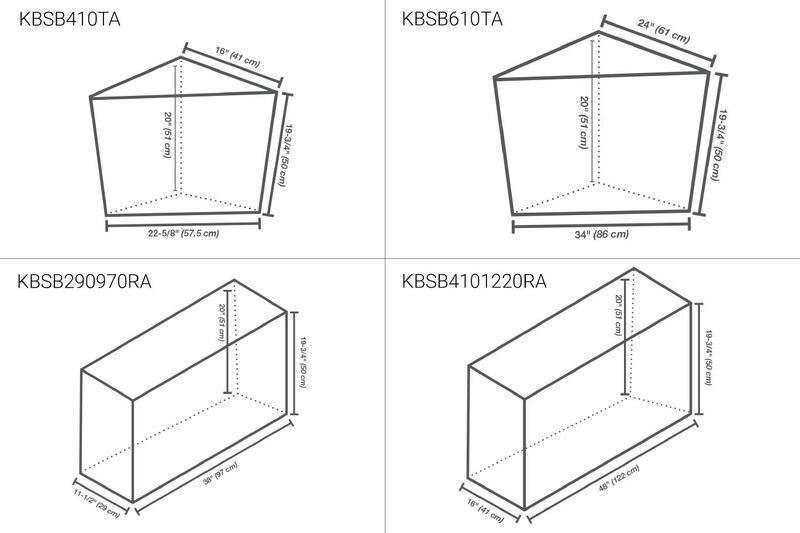 The bench is available in triangular and rectangular configurations in the following sizes (width x depth x height). The triangular benches are 16" x 16” x 20” (41 x 41 x 51 cm) and 24” x 24” x 20” (61 x 61 x 51 cm). 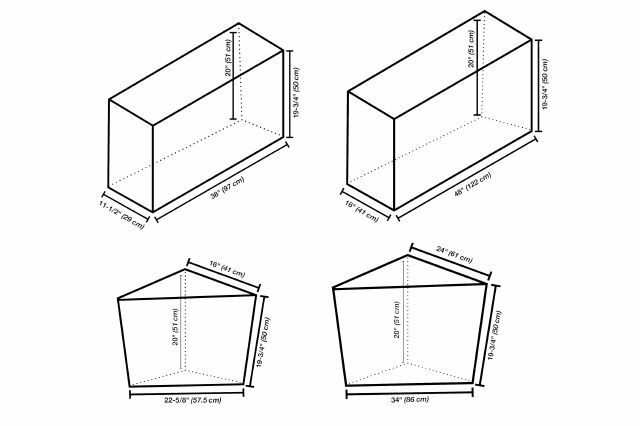 The rectangular benches are 38” x 11-½” x 20” (97 x 29 x 51 cm) and 48” x 16” x 20” (122 x 41 x 51 cm). 1. 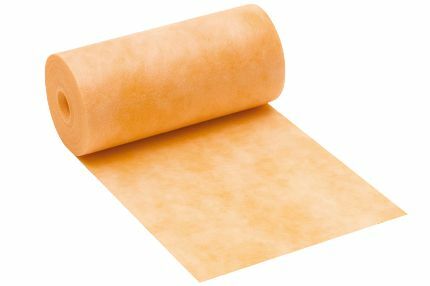 Apply Schluter-SET, Schluter-ALL-SET, Schluter-FAST-SET, or unmodified thin-set mortar to the floor and to the edge of the shower base and walls using a 1/4" x 3/8" (6 mm x 10 mm) square- or U-notched trowel. 2. Press the bench firmly into place. 3. 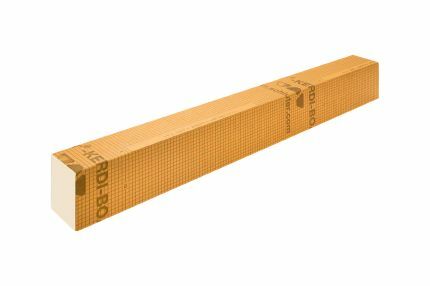 Seal the bench to the shower base and walls using KERDI-BAND waterproofing strips and KERDI-KERECK/KERDI-KERS-B preformed waterproofing corners. 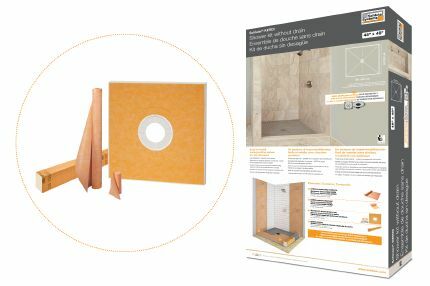 For complete installation guidelines and warranty criteria for shower applications, please download the Schluter®-Shower System Installation Handbook below.